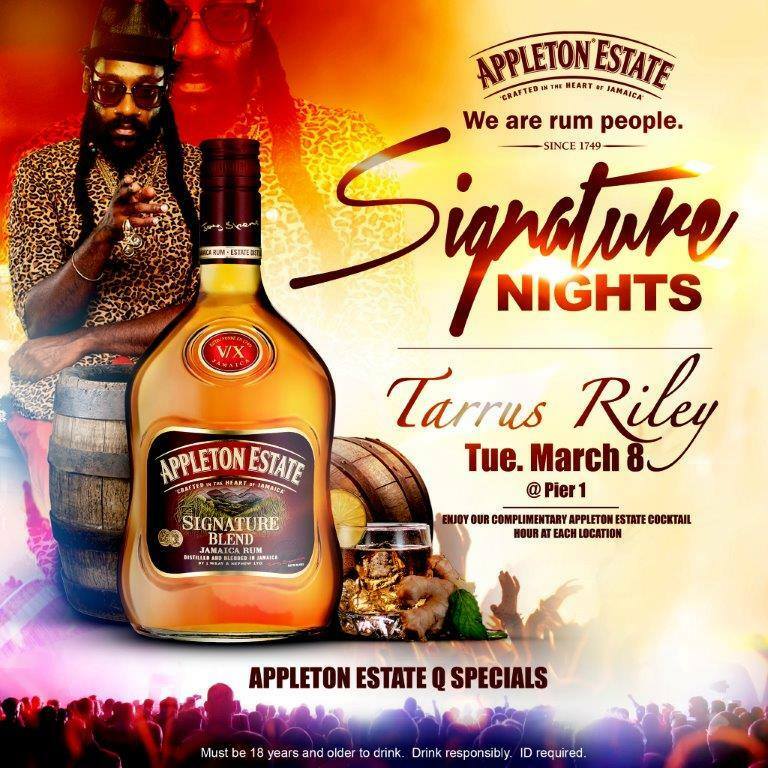 Every Tuesday for the next six weeks Appleton Estate will be bringing first class live entertainment to various bars across Jamaica. The series dubbed Appleton Signature nights is slated to begin this Tuesday March 1, 2016 at Macau Gaming Lounge and Bar in Kingston. The event starts at 7pm and will feature a complimentary Appleton Estate Cocktail hour . 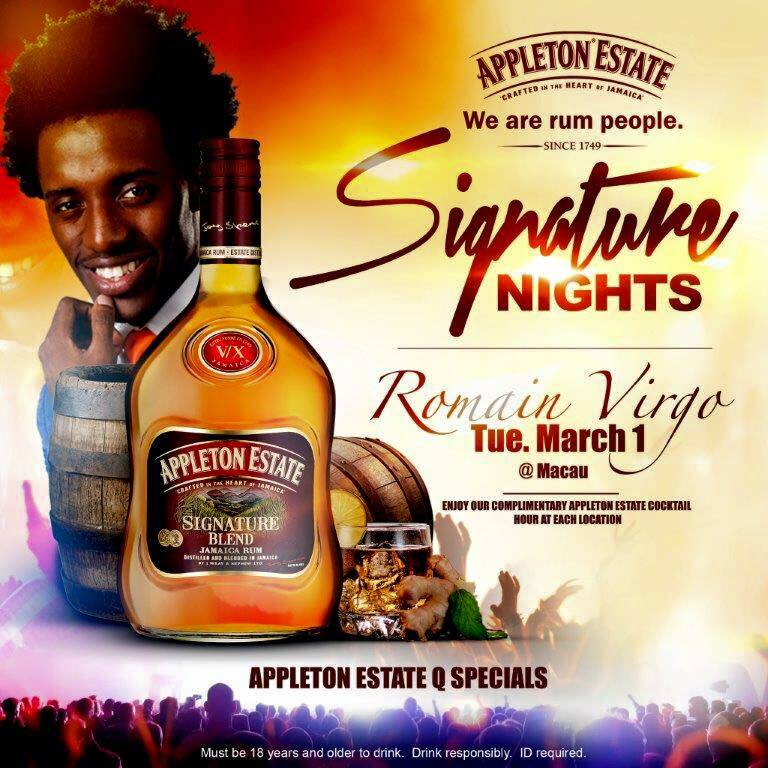 A live performance by International Recording Artist, Romain Virgo is scheduled for 9pm. Check out the various locations for more details. Great music +delicious food and Jamaica’s favorite dark rum = guaranteed niceness! Previous Previous post: 5 Must Have Foods For A Real Jamaican Easter. Next Next post: Sandals Resorts brings Tahiti Luxury to Montego Bay !